Eight Lessons about Hope in Christ. Life is hard. Really hard for some of us. We suffer, we grow discouraged, we struggle with sin. But when we view our sufferings from the balcony of faith, we rest in the assurance that God never leaves us unloved or uncared for. His hope is a beacon of comfort. Over these eight lessons, our journey will take us through a section of Scripture titled ”The God of All Comfort,” in 2 Corinthians 1:3-7. The apostle Paul, the author of that letter and an expert when it came to suffering, lends insight and encouragement that God is not blind to our troubles. Along the way, we will meet faith-filled Christians who relied on faith despite their heartache. Through their stories and God’s Word, we will experience the unmistakable handprint of a loving, merciful Savior. 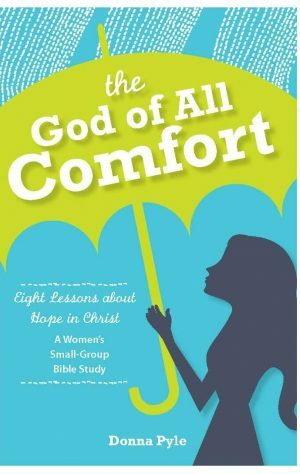 For individuals and small groups, this Bible study offers hope provided by a God who relentlessly pursues us with His ultimate comfort.